I’m sure that anyone reading this will probably think that the title is a misprint or a misuse of the English language. No misprint there and while I’m known to stray into Ebonics on the rare occasion this time I’m on point. 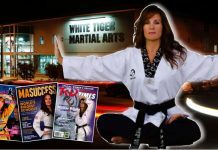 In this article I want to talk about the common place or the mediocre martial arts students. As hard as we may strive to perfect our various arts most of us fall into the area of the mundane. There are a few superstars among us but most of us, myself included, fall outside of that rarefied category. 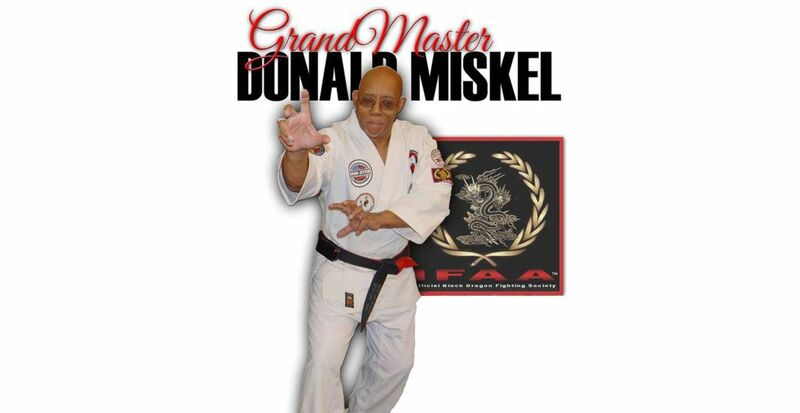 All of us who have thought or even studied the martial arts have come across that rare gifted individual who is endowed with bucket loads of natural ability. You know him. The one who never has to study and hardly cracks a book and still keeps a 4.0 GPA. The one who the sensei shows the technique to one time and automatically does it better than the sensei. We won’t dwell on our serious dislike of those individuals but we will look at the advantage of being an average or even below average student. Being average doesn’t mean that we can’t accomplish great things. It only means that we will have to work our rearmost extremities off to accomplish our objectives. What comes natural to that occasional martial art prodigy will be accomplished for us in the sweat of our brows. Some of us have to work harder to accomplish the same thing but that doesn’t mean that those accomplishments are beyond our grasps. We’ll just have to strive harder and reach higher. Okay, with that being said, how does that translate into an advantage? I’m glad you ask. Your query gives me excuse and opportunity to pontificate. There is an advantage to be had in the ordinary. 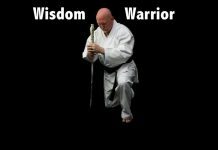 Those of us who were klutzes tripping over our own feet and have against all odds become martial art teachers and masters illustrate the point that I’m trying to make. With patience, persistence, determination and old fashioned stubbornness the extraordinary can be accomplished by the ordinary; the ordinary being most of us. Most of us aren’t Bruce Lee or Mike Stone. Those low life lily livered miscreants didn’t have to work their tushes off to become martial art masters. That was relegated to us ordinary individuals. But even with the challenges that most of us face in the process of attaining knowledge and ability some of us have managed just that. As much as I would like to be one of those individuals endowed with superior reaction time, extreme eye hand coordination, extraordinary reflexes, superhuman strength and eye blazing speed I fall into the area of the ordinary. I was just barely average, one of those mediocre martial arts students. Here I am, fifty seven years into my martial art career and still trying to get the hang of the intricacies that make the mundane magnificent. I haven’t gotten there yet but I’m still striving. I’m too stubborn and too dumb to take no for an answer even when no makes more sense. I am, like so many of us, like the bumble bee that is too stupid to know that physics precludes their ability to fly. Fortunately bumble bees don’t understand physics. I grew up in a deprived part of the city of Chicago. Just a few miles away was the Hyde Park neighborhood where the University of Chicago makes its home. When I was a kid Hyde Park meant money. The junior high school that I attended was located in Hyde Park. Consequently I came in contact with more privileged children. They had the things I wish I had. The things that I dreamt about were just handed to them. I had to work for everything I had. I have a learning disability so school was a challenge to me. I had to study twice as hard to accomplish what some other students took for granted. I learned how to study because nothing came natural to me. On second thought, that isn’t true. Some things did come natural to me. Unfortunately those weren’t the type of things that would make me successful in life. In the end I attended one of the highest rated schools in Chicago and I managed to earn several graduate and a couple of post grad degrees. Learning to face my challenges in life propelled me further in life than the natural abilities that some of my friends were gifted with. Even a plodder will reach the finish line if he keeps on toiling toward his goal. I’m living proof. Not having much taught me to appreciate the little that I did have. I learned not to take anything for granted. I found out that nothing would be handed to me on the proverbial silver platter. My disadvantage became my greatest asset. In my teaching career I’ve come across the occasional gifted student. They didn’t have to work as hard as the other students. What was a struggle to the rest of the class came easy for them. They got it right the first time so they disdained the constant repetition. That was for the ordinary student. Guess what happened to those students. They could perform any given technique on demand but somehow their knowledge and natural ability didn’t translate to the streets. Knowledge isn’t always ability and ability doesn’t always translate into muscle memory. Knowledge is cerebral but combat is governed by the primitive brain. You can’t reason your way through a fight. It’s a known fact that if you have to think about it it won’t work for you. It may reside in your intellectual brain but combat isn’t intellectual. It breaks down to basic training and muscle memory. The techniques that you repeated ten thousand times; so many times that you could do them in your sleep, are the ones that will see you through in a pinch. To the one who did the technique ten times to your ten thousand the techniques that may save his life will elude him when it’s most needed. Many times in teaching we feel that we need to require more of the mediocre student than of the one with natural ability. In all actuality the opposite holds true. We have to keep in mind that it is our job to enable every student to become proficient where their abilities really matter. We can’t be lured into complacency with that class superstar. We have to demand the same of him as of the other students. He too needs the consistent training and constant repetition to translate his knowledge into a usable self defense tool. 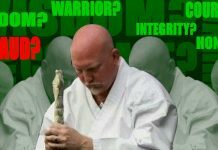 In its pure state a martial art isn’t a sport. It isn’t for competition. It isn’t designed to impress your friends and neighbors. It’s about self defense and combat. You may or may not be proficient in those other areas but if it fails you as a fighting system it has failed you completely. Your beautiful form and flashy techniques won’t impress an attacker. The command of your art as a mode of combat will. 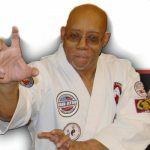 Losing a match or a kata competition won’t cost you your life. Losing a fight just might. In conclusion I would like to say that it is seldom that the natural student will stay with you long enough to be really proficient. People tend to get bored with things that don’t offer a challenge or that come too easy. Likewise we don’t appreciate something that we don’t have to sacrifice or work for. The harder earned a thing is the more it’s valued. More often than not the plain ordinary student will stay and go the course. So we see that there is an advantage in mediocrity. We will often be faced with the challenge of the mediocre student but we can work with that. That same student with those same challenges was probably you a number of years ago. In the end persistence will mean more than natural ability. That same fact holds true for the natural student. God bless you, my brethren. Train hard and go with God.